Dynamic creative designer, highly openminded and collaborative. "This is the 4th project he's done for us and each time the work is beautiful and intelligently done. " "We've now successfully worked together a couple of times. 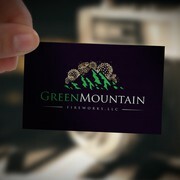 His work has been excellent"
"We ran a contest to design a logo for a new investment business. We had already seen hundreds of entries - and then Ernesto won the contest with his first entry - a stunning, clever, elegant design. His design philosophy was exactly in line with the bri..."
"First design submitted was amazing! Ernesto was very quick to respond and make adjustments. I highly recommend him. "